Admit it. Your business card holder has come in handy often. 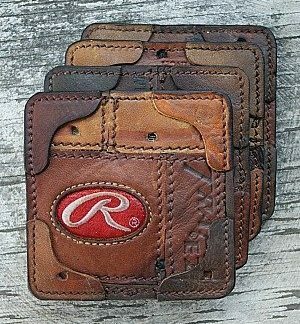 It’s a treat to hand your business cards out, but when you have something cool to hold them in? You start a conversation! 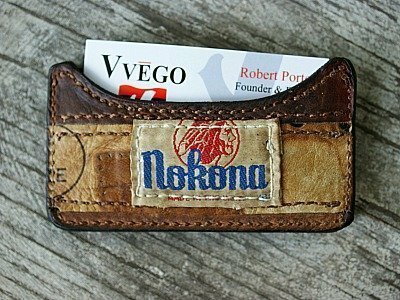 This particular business card holder is made from a Nokona baseball glove. Since we often make products from gloves that folks send to us — gloves they’ve used in their own baseball career — they’re one of a kind. Send us your glove! 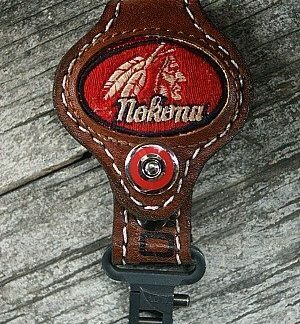 We’ll not only make a cool item for you, but improve your business. Nothing is better than making friendly conversation with a potential customer. Is there? Well… In a business sense, anyway.